Have you ever wondered why you have not achieved your trading and financial goals? What is the goal setting process of successful traders and the 1% of financial achievers that enables them to make more money each year? This FREE video training reveals the mistakes 99% of traders are making in setting their trading and wealth goals and the financial goal setting process that hardwires you for immediate financial success. Have you ever wondered why you could have two traders, trading the same profitable system… and one trader consistently and easily makes money… while the other trader loses money and fails to gain any form of consistency? Why is it some traders can sit patiently all day waiting for a trade, even a week or two, while most fail because of their lack of patience and discipline? 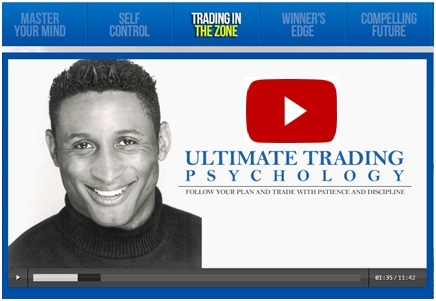 Discover the six fundamental and powerful psychological skills that you as a trader need to know right now that will enable you to follow your plan and trade with discipline and patience. Have you ever wondered why despite so many people in the world would like to be a millionaire or financially free and only 1% of them ever achieve it? Think about it, millions of people every year attend a trading or investing course but less than 1% succeed at growing their account to one million or more. It comes down to how the 1% think about money, assets and their self mastery. Your mindset will determine your financial success above anything else. Millionaire traders and investors do not think the same way as 99% of the world. You could be disciplined, patient and calm while trading but that is not the mindset to grow your account to one million or more. Click here for the secret mindset of millionaire traders.